Congratulations to Alvin Jackson on being elected to the Rome School Board of Education. Jackson has been involved in numerous civic activities in the city of Rome including positions for the Rome-Floyd chapter of the NAACP, the 100 Black Men of Rome-NWGA, Inc., the MLK Commission, One Community United , along with other committees and organizations. 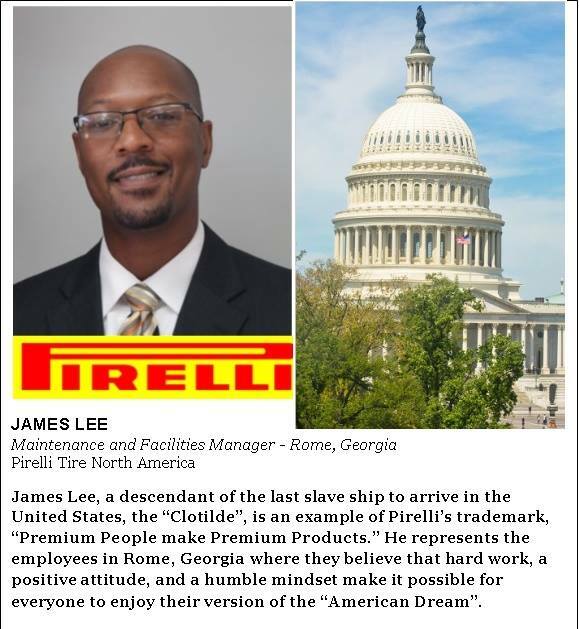 Congratulations to Brother James Lee on your achievement of being selected as an Ambassador for Pirelli Tire. We are very proud of you. It is stated, "You were selected from among thousands of others in the tire manufacturing industry from all over the U.S. to represent your company on Capitol Hill during the USTMA's inaugural Tire Manufacturing Ambassador Program". Congratulations to President Rayford Horne is now officially inducted into the LEAD Polk Class of 2017 on November 9th. LEAD Polk is a 15 week course that began the night of induction and won't end until November. Participants will be immersed in all aspects of Polk County, receive leadership training, conflict resolution skills, team-building skills, and more. Participants are typically in mid to upper management levels who show concern for the community and are known to volunteer their time. It is an application based class, and 18 applicants were accepted for the 2017 class.